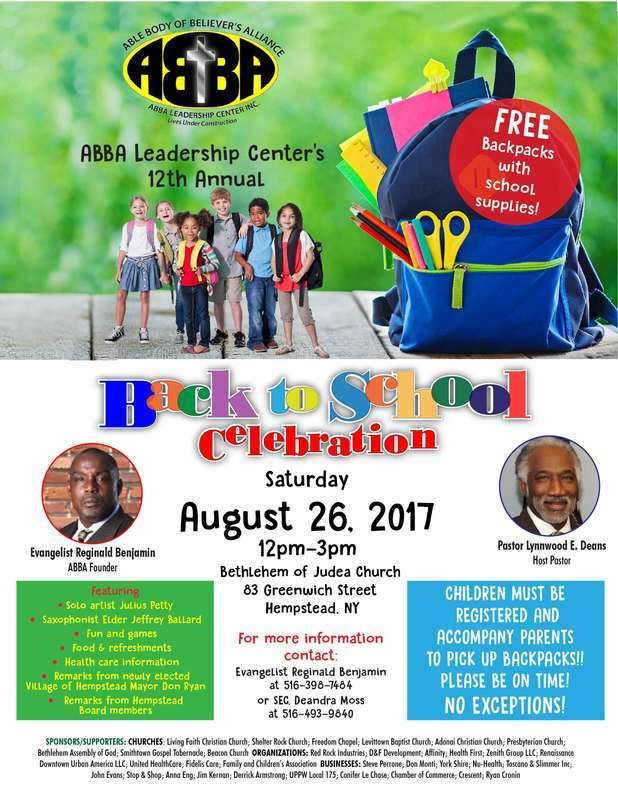 ABBA Leadership Center will be hosting a Annual Back-to-School backpack School/Supply Drive for children of low-income struggling families. We give out over a thousand free backpacks with school supplies to children in and around the Village of Hempstead. Our goal is to support the education of our children, realizing that is the only sure fire way of breaking the multi-generational cycle of poverty in low income communities. In addition, we will be partnering with a host of community service providers to provide information on healthcare services, Mentoring programs, daycare service, gangs violence awareness/prevention and alternative educational services. “According to the Department of Criminal Justice Bureau of Statistics, one in three children from poor communities will end up in the Criminal Justice System in their life time. Additionally, up to 85% of these children will drop out of school before they graduate high school. It is common knowledge that in poor low income communities educational resources are lacking and is directly co-related to poor academic achievement and helps to foster a culture of disenchantment with the educational system. Our Back-to-School drive strives to reverse this trend by directly focusing on kids in low income communities. As a member of the faith-based community, we believe that it is imperative that we reach out and engage hurting communities. The bible says “inasmuch as you do it unto one of the least of these my brothers, you do it unto me (Matthew 25:35-40). Please prayerfully consider help us to help the least able to help themselves, our children, they are our future. Organize a back to school supply drive through your local church or community-based organization. It is estimated that each backpack with school supplies averages $45 to $50. Please consider purchasing one extra backpack for a needy child. A financial donation of $50 will provide a backpack for one child, a $100 will provide backpacks for two, $200 for four, $500 for ten children, $1000 will provide backpacks for twenty and $5000 will provide backpacks to over one hundred children. We need volunteers to help prepare and distribute backpacks with school supplies. 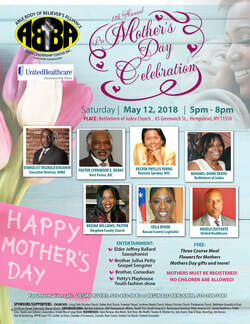 We also need volunteers to help distribute Bibles, man registration tables and distribute snacks and refreshments. The deadline for all donations and contribution is Wednesday August 22nd.